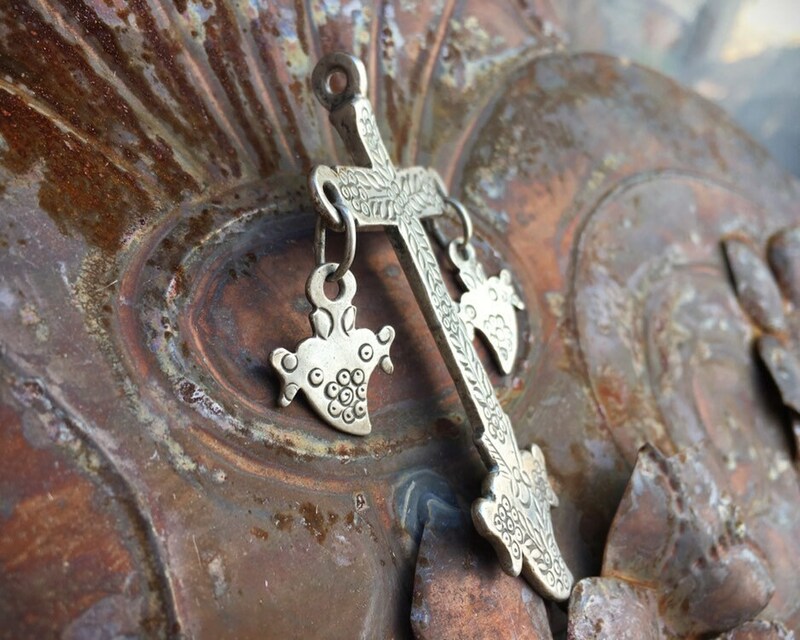 This pendant is heavy and amazing, from the 1940s, and from a Mayan necklace called a "chachal." Mayans inhabited a large portion of what is now Guatemala, Belize, El Salvador, and five states of Mexico: Yucatán, Quintana Roo, Tabasco, Campeche and Chiapas. 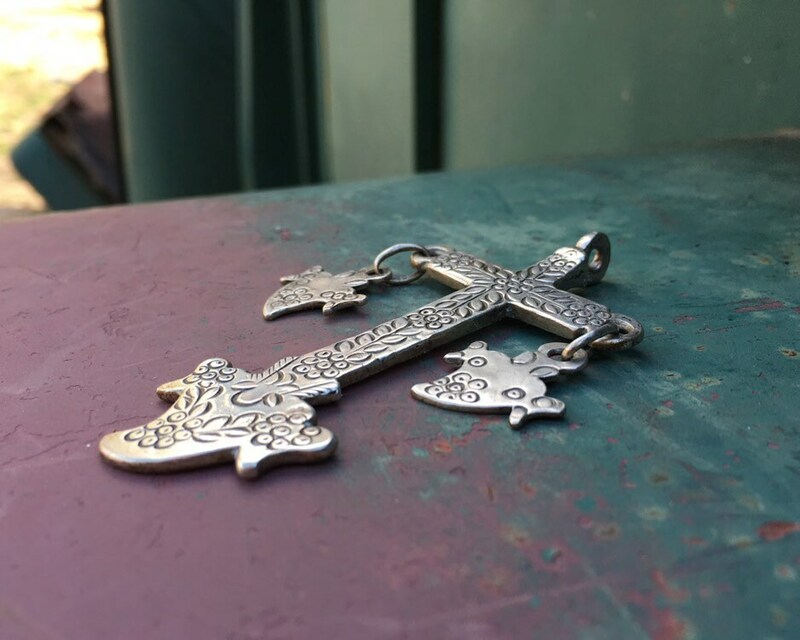 The language of the Mayans is Quiché, and the word for "necklace" in that language is "chachal." Chachal necklaces with trade beads and charms called "Milagros" have been made by Mayan peoples since Colonial times. 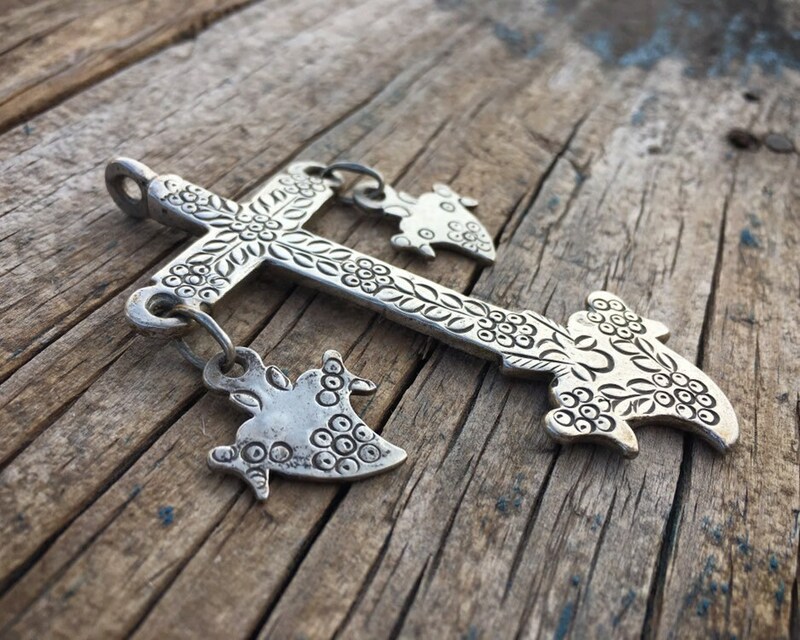 The pendants were often coins, which came to the region through trade, and coin silver crosses, created by melting pure silver coins. 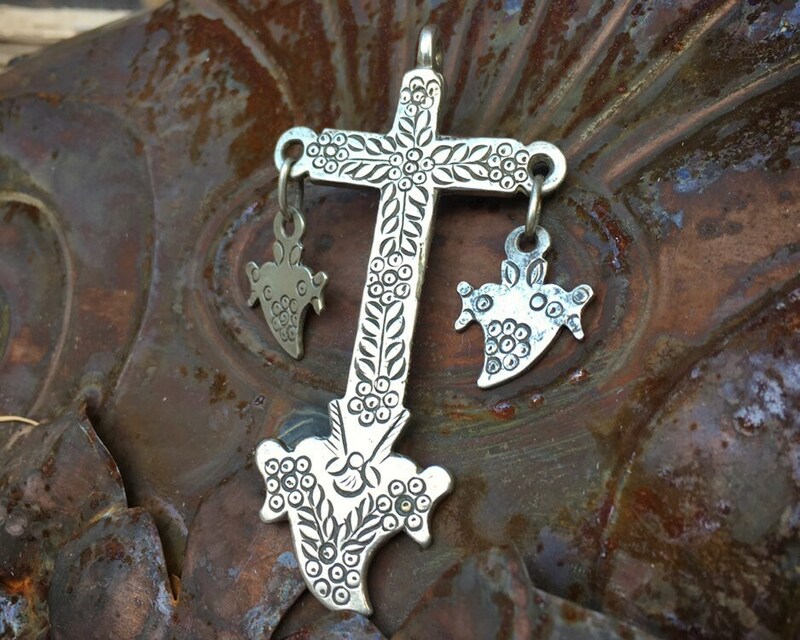 This chachal cross is typical, with the heavy weight, the deeply etched and oxidized lines--in this case with flowers and leaves, and the heart icons representing Sacred Heart. It is a mix of indigenous iconography and that of the Spaniards, and it is simply wonderful. 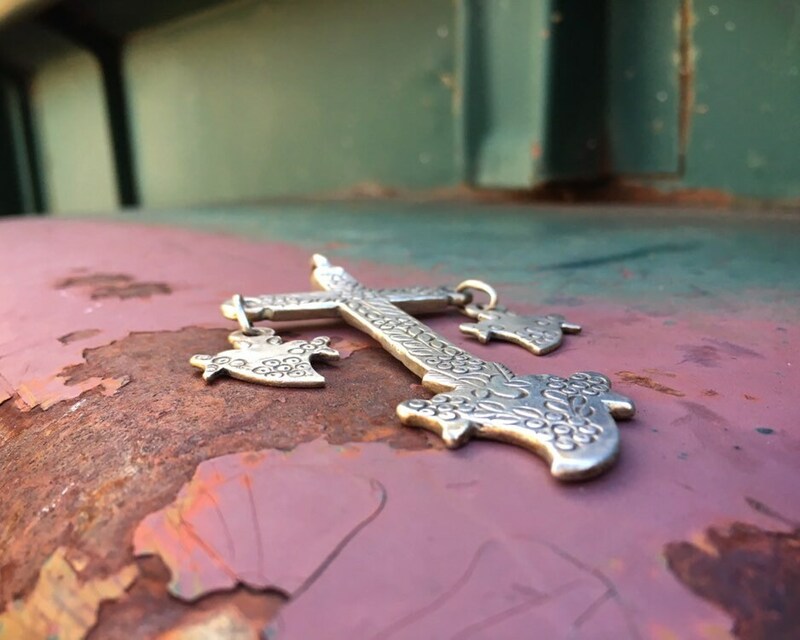 Since the cross is the centerpiece of the chachal necklace, this old cross is meaningful and valuable. 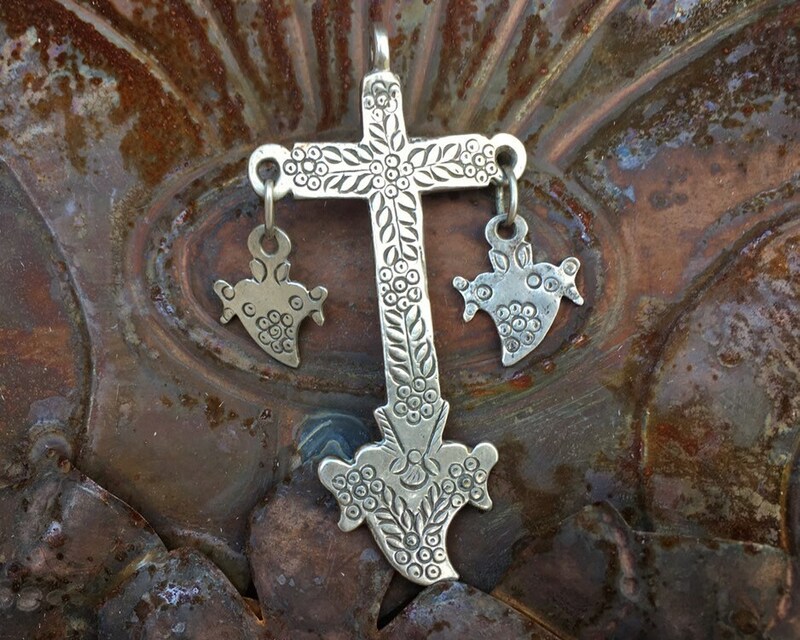 Today it is hard to find an authentic piece like this. 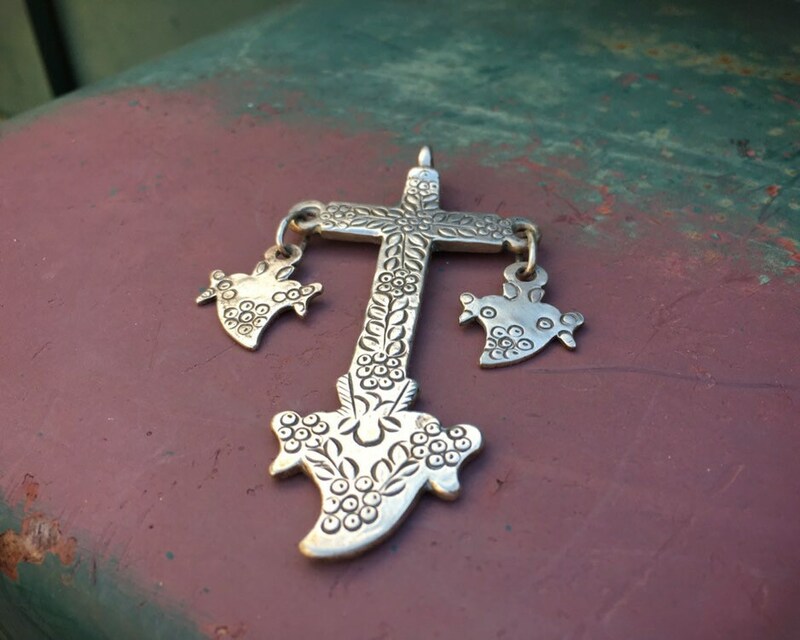 I have done multiple buying trips to southern Mexico in search for chachales, and while I have found reproduction pieces--new yet made to look old--it is a treat to offer a piece that is 70+ years old. 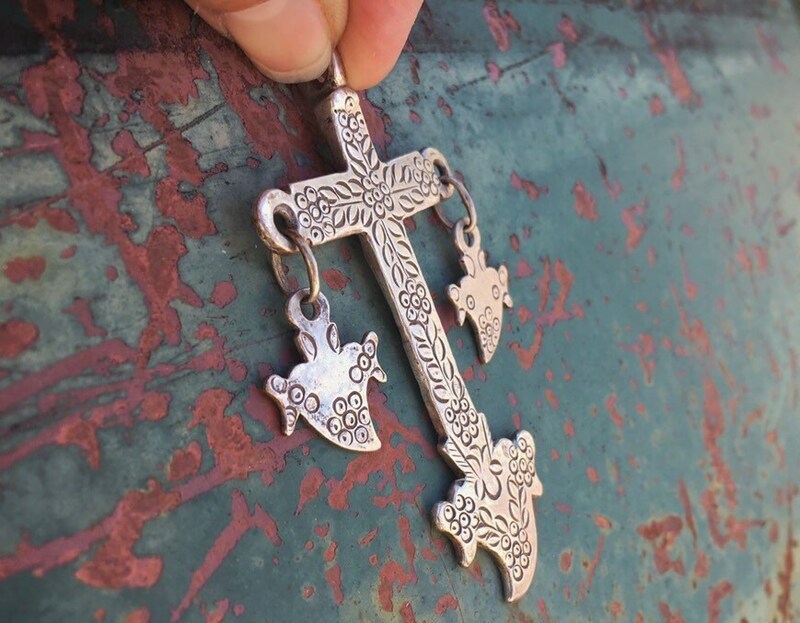 The cross measures 3-1/4" tall including the eye hook, which is thick and soldered onto the cross, by about 2-1/4" wide measuring to the outer edge of the heart milagros dangling from the two ends of the cross. 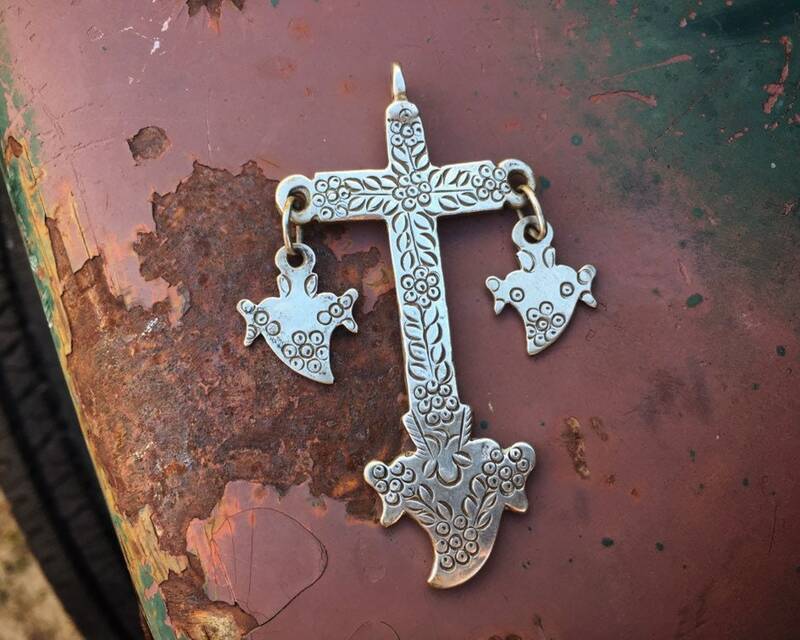 The cross had quite a bit of tarnish, which we lightly polished so as not to remove the patina. 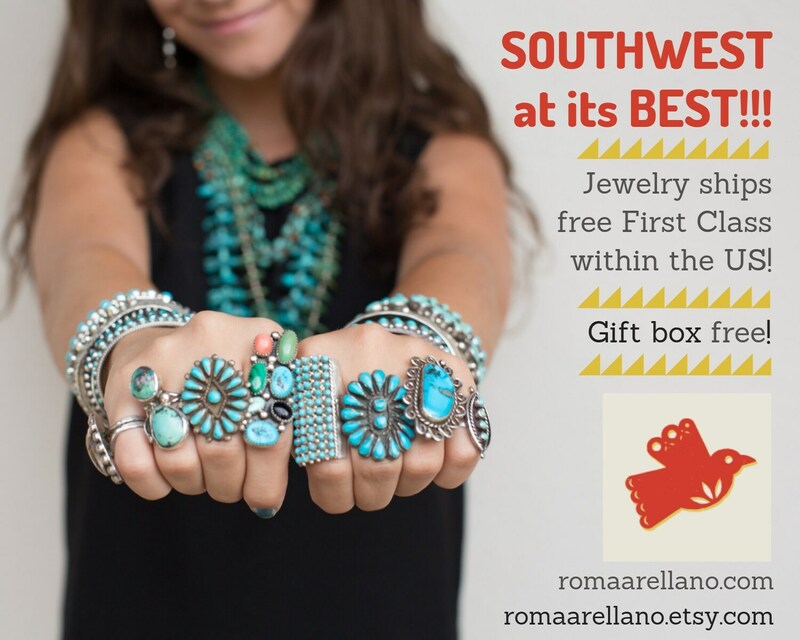 Authentic piece for the lover of indigenous jewelry.